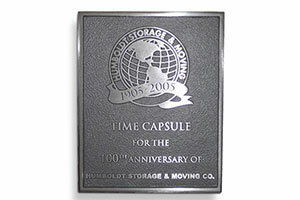 Whether you are racking your brains trying to find the perfect Time Capsule Container, or trying to fit 1,000 words onto a 5x7" plaque, know this: you can't have it both ways. That is to say, you can't spend NO money on a time capsule container and have the best protection for your items. And you can't choose the smallest plaque and throw so many words on it that it just doesn't fit. Buck up! We have seen customers come to us because the time capsule container they chose was donated to them, but leaked after only a few years. They got the time capsule container for free, but it leaked! Most often, the leaking container is made of plastic or was intended to be a small burial casket. In the case of the plastic time capsule, the material is suspect and will crack over time. With a burial casket, be aware of the way it seals. Do not take the donor's word for this important characteristic - inspect it yourself, or have an expert take a look. Then, we get customers who order a 5x7 plaque, want to put 100 words on it, ask if they can put their logo on it, and ask for a double line border with holes through the plaque for mounting. What? This all being said...we have some recommendations for you. They're simple and easy to use. And they'll save you money without losing out on quality. These are the Best Buys for Time Capsules. 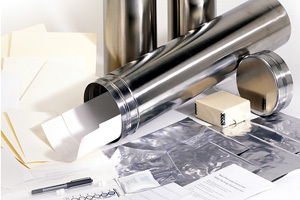 You won't find this much space inside of a stainless steel time capsule for this price anywhere. 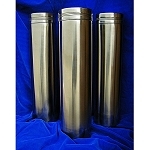 Our 'Standard' time capsules have slight blemishes - cosmetic irregularities that do not affect quality. We inspect our time capsules heavily - all over - for everything. For those with noticeable dents, or poor welds, or lids that don't fit - we scrap those. We sell the 'practically perfect' ones in the Family category. The ones that are functionally sound and that we would be proud to use, ourselves, we sell as 'standard.' This means a bargain for you. It really does. These units pass all the 'true quality' checks such as fit, welds, etc. but maybe they have scratches on the lid or bottom. 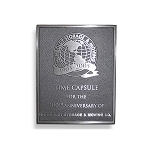 If you are placing the time capsule in a trophy case, or look carefully at it closely, you may notice the blemish. Otherwise, and especially if you are burying it, we highly recommend these units. If you care about the items you are placing into a time capsule, you should take care and use common sense when choosing that container. If you cannot afford to use a quality time capsule, re-think the project and do something else. The wording on a plaque has to fit on it. You may print something out on a piece of paper, and it will fit onto a small area. However, this does not mean it will fit when the foundry pours the metal into the mold. The same processes for printing do not work for fabricating plaques. So how do you figure the size? First, look at the examples we have on our site. You can find these examples where we sell the plaques, or at the gallery area. You can get an idea of what others have said on their plaques, and decide if that's what you want to say. It's a good way to see how many words fit onto a certain size, too. 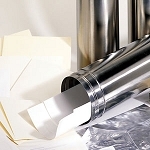 Write your message on a piece of paper or type it into a word processing file. Count each character and space. Divide that number - whatever it is - by 3.5. What number you get is the minimum SQUARE INCHES of the plaque. Our plaques are sized 5x7, 6x8, 8x10, etc. So, if you get 35 square inches or less, the 5x7 would be good. If you get 35-48, consider the 6x8 size. If you get 48-80, consider the 8x10. This is a rule of thumb for determining the size of a plaque - without any logo or design. You will want to determine whether you like it better in a Portrait (Vertical, e.g. 8x10) or Landscape (Horizontal, e.g. 10x8) layout style. You may want to make the plaque a bit larger to allow for white space. If you like double lines, allow extra space for that. If you want a logo, you will have to allow space for that, and it needs to be in a special file, too - vector art in black and white that can be re-sized (not JPG). Mounting is to be considered before we make the plaque, too - more space is available if you choose the 'blind' or stud mounting in which the hardware is placed in the back of the plaque. See more info on plaques here. Check out our gallery here. 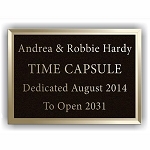 Hoping these few ideas help for those of our customers who are doing a time capsule or plaque for the first time!